Please join us on Saturday, April 6th from Noon until 3:00PM for an information and resource event. TALK ABOUT is a series of discussions on topics seniors recommend by seniors and those who provide support to them. The goal is to provide information to seniors so they can live independently in their homes as long as possible, and provide community resources when living at home becomes a safety concern. Please see the calendar for future events. 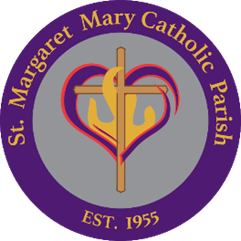 Please click here to see the Faith Formation page for current information about all the programs offered by Blessed Savior and St. Margaret Mary. Please click on this link to go to our Parish bulletins and see all the exciting things happening in our Parish.